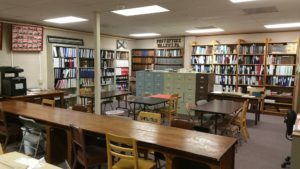 Below are some of the historical and genealogical resources available in the Archives Room of the Juniata County Historical Society. Organized by surname, those persons known to have served and having some connection to Juniata County. Compiled from pension and military records, newspapers and research contributed by descendants or others. transcribed copy of original Courthouse record; microfilm copy also available. Miscellaneous church records transcribed from the ‘late’ Pennell File 1808-1885, organized alphabetically; transcribed Messiah Lutheran Church Parish Records 1801-1867; copied Presbyterian Church Records, Mifflintown – Lost Creek 1872-1875, 1875-1899; copied Upper Tuscarora 1870-1915; copies of original Bethlehem United Methodist Church Sunday School Record – 1893; transcribed St. James Evangelical Lutheran Church Parish Registers [Greenwood Twp.] 1859-1870; transcribed Faith Evangelical Lutheran Church Parish Register 1948-1951 [Monroe Twp. ]; transcribed St. Peter Evangelical Lutheran Church Parish Register, 1947 –1962; transcribed Records of the Baptist Church of Tuscarora Valley 1794-1828. 1790-1920 for present day Juniata County.